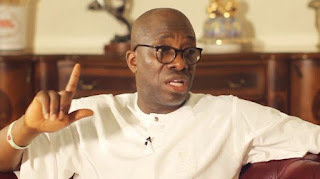 Segun Sowunmi, the spokesman of Atiku Campaign Organisation, says Atiku Abubakar will only be in office for four years, after which he will hand power over to a young person, like Nelson Mandela did. Earlier, Atiku, who is the presidential candidate of the Peoples Democratic Party (PDP) had said if elected, he would serve for just one term. Speaking with Osasu Igbinedion on The Osasu Show, Sowunmi said Atiku is willing and ready to sign a legal document that he will be president for just one term. “On the one-term thing, I am being extremely honest with you. His Excellency, Atiku Abubakar was the one who said it himself, nobody forced him to say, nobody asked him to say, nobody pushed him to say it,” Sowunmi said. Sowunmi said Nigerians no longer see four years as a long time due to the actions and inactions of the Muhammadu Buhari-led government. The spokesman said Atiku’s policy document will be released in a few days.